Hello Reader! Love Thai Action? Well I do and if your down with elbows and knee’s than this news is for you. Check it out below along with the Official Trailer. 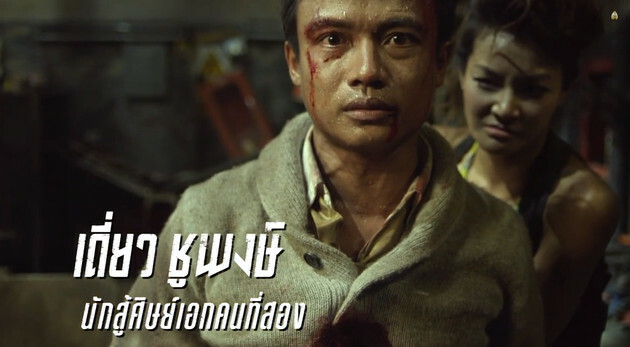 Vengeance of an Assassin is Panna Rittikrai’s last film before he passed away, the famous Director who gave Tony Jaa He Stardom gives us his last great action film with big action, chases and good-looking hand to hand combat. From the trailer the film looks fun with perhaps some CGI that might get in the way but hopefully not. Check the trailer below and let us know what you think. Vengeance of an Assassin Stars: Dan Chupong, Nattawut Boonrabsap, Ping Lumprapleng and is due to hit big screens in Thailand on November 13 2014. No word on a US Release yet. Plot: Being an assassin has its rules – always keep your eyes on your target, be strict on your mission, execute without any hesitation and there is no room for negotiation. Each killer has his own background, but all of them have trade in their blood and losses. For Natee, his only reason in becoming an assassin and leaving behind his brother and his uncle is to find the truth about his parents’ death. It is the issue that he has always doubted and felt that uncle Thanom was hiding something from him. While protecting Ploy, a niece of a local business man from a group of assassins, he was asked to kill the girl instead.